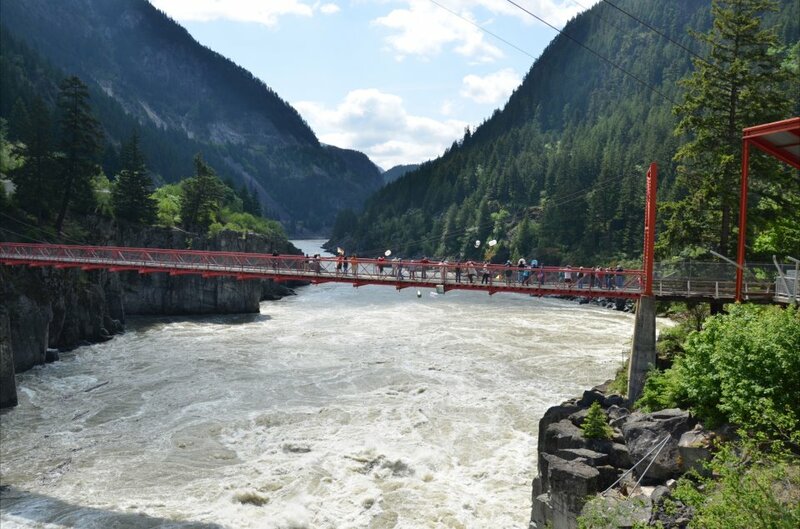 The big news this week is the Fraser River , high water is a real concern for farmers who live in low lying areas but other than that I don’t think you need to worry too much about flooding as the water has been this high many times. Media love to over react as this brings in many readers and listeners to their shows. At Mission Harbour we are expecting the river to peak this weekend and then begin to drop rapidly. We should see the river in decent shape for the July 16 salmon opening. 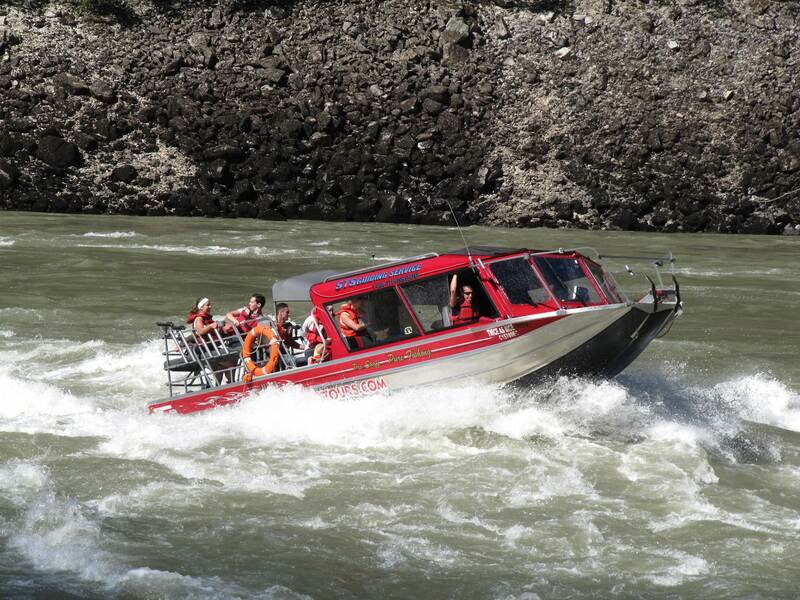 As mentioned above, Salmon fishing opens July 16 on the Fraser River, water will be high but we should see decent water conditions by early August. There are a few places to target salmon if the water stays high, mouth of Vedder River is one good bet. We will also be targeting salmon in the ocean and several smaller rivers located in the valley. 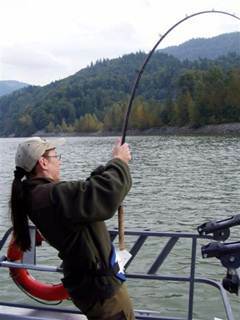 Target species will be Chinook Salmon and Possibly some sockeye. Sturgeon fishing has been fair to good this past week even with the high water. One local guide landed a fish over 9ft this week which is a great fish for this time of year. Best bait has been Eulichon and eel, look for salmon eggs to begin producing some nice fish. Primetime Sturgeon fishing is approaching fast, August, Sept, October and November offer some of the best fishing of the year. 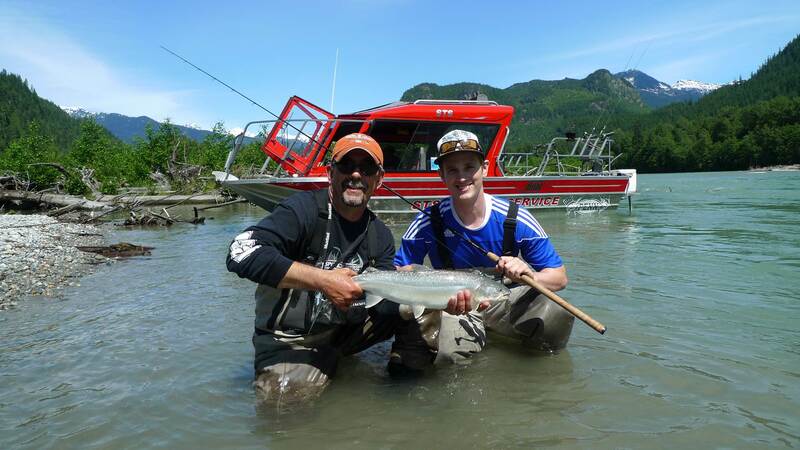 We still have some good dates available so just give us a call and we will hook you up with that monster sturgeon. We have spent the last few days over at Gulf Islands, fishing has been slower this week with the odd Chinook over 20lbs being landed. 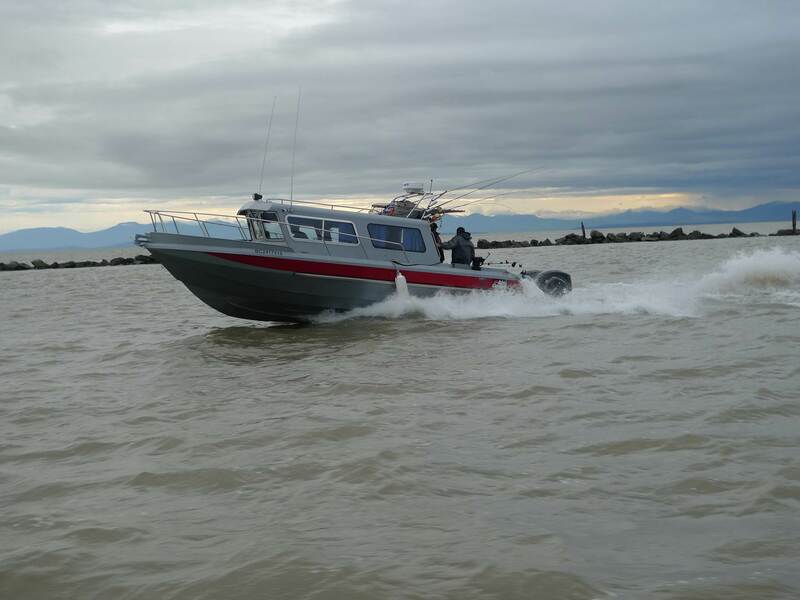 Over the next few weeks we will begin to see some better local fishing with Capliano coho and Fraser River Chinook beginning to arrive. 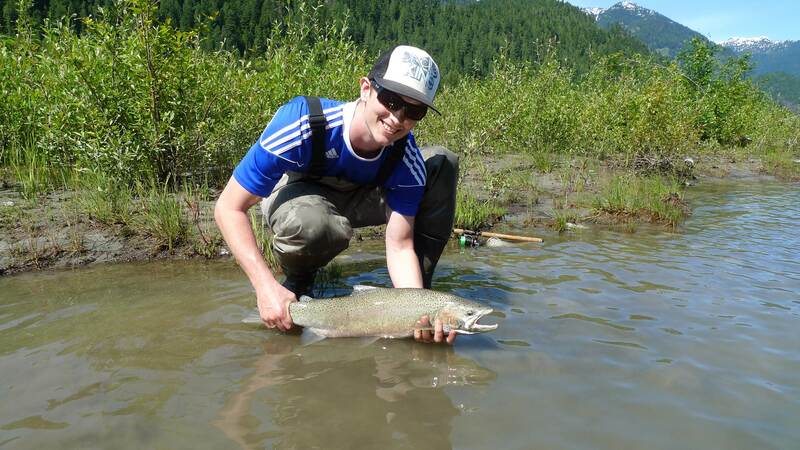 As we get closer to mid July the Fraser sockeye should begin to show up so lots of options for our guests. We are now offering 1/2 day salmon 1/2 day sturgeon out of our Delta Airport location so you can experience both fresh and saltwater fishing in same trip. This is a great option if the weather gets nasty or you limit our on salmon early. You must book an 8 hour trip if you want to do a combo salmon/sturgeon. We have been on the Pitt all week, water was really high early in the week but has since begun to drop. 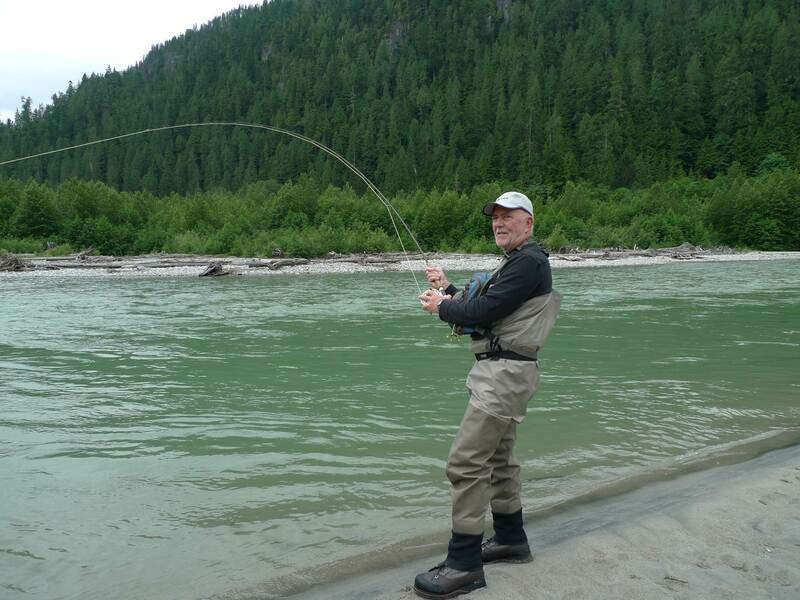 We had some great trips both fly and gear landing trout between 2 to 9 lbs. Water is in great shape so looks like we will have some excellent fishing opportunities over the next 3 weeks. 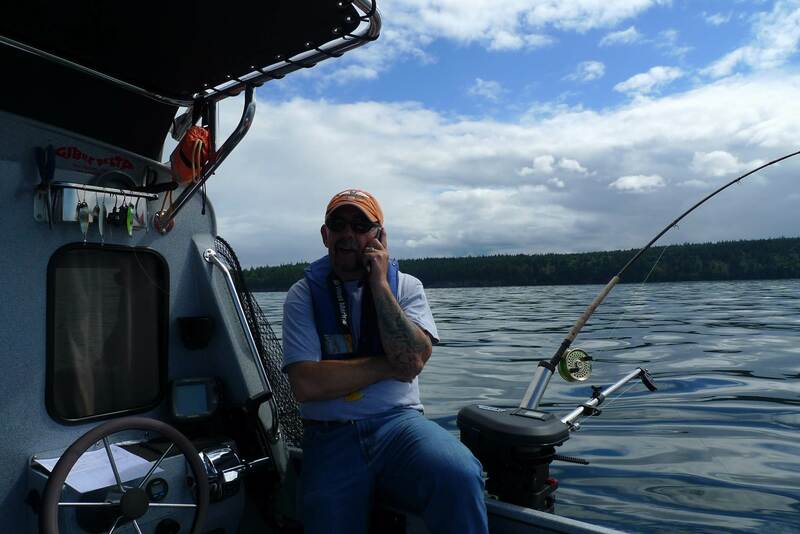 If you are wanting to get out on the Pitt, please call Tom at 604-807-4819 or Thomas at 604-308 – 5591 as I will be away fishing the west coast for the next two weeks.. Surprise steelhead caught while fishing the Pitt this week. Our next available tour is August 4,12,18. If you would like to book a seat, please e-mail us, cost is $129 plus tax. – If you are looking for information or to book a trip between July 16 – Nov 31 , please e-mail us or call 604-671-3474 and someone will get back to you within 48 hours.